If you took part in the just concluded examination, this is to inform you that the WAEC GCE result for 2018 is out as released by the West African examination council. Now that you know that the WAEC GCE result is out, what is the next thing to do? It’s to proceed to the result checking portal to check your result to know if you have attained your desired grades. But what if you don’t know how to check the result, you will go to a cyber cafe to pay someone to help you check your WAEC GCE result. You actually do not need that when you have your smartphone there with you. You cannot just use it for chatting, but for your educational pursuits. So here, I will guide you on how to check WAEC GCE result with pictures of the entire process, so even if you have never checked WAEC GCE before, you will be able to do it yourself with this guide. You can check for yourself and for others and get paid for the service. There are 2 steps to checking your WAEC GCE result. One is to check it directly on the web through the official website of WAEC while the other is via SMS. Both steps will be shared here too. 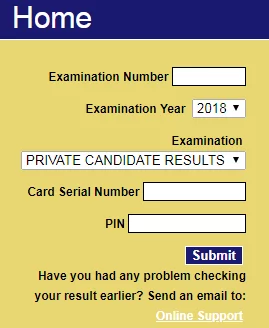 How to check WAEC GCE result 2018 Nov/Dec GCE Result Online through WAECdirect.org. Either save the result as PDF or you print it directly if you are connected to a printer. Hint: You can only use your result checker 5 times, so be sure you save the result or you print it out after checking! If you ignore this, you may end up buying the scratch card the second time. Meanwhile, here is 2018 WAEC timetable for all the candidates.